The goal of any influencer marketing campaign is to raise awareness about a specific product, service, or brand that you are trying to promote. Instagram prides itself on being a visual representation of your life/brand. To some, Instagram is a platform that is just pictures, but to me, it’s a world filled with opportunity. To small business owners, the most valuable resource is time. Please note that with anything great, it simply takes time. Be consistent and over time, your hard work will pay off. If you are trying to market a product or business within the demographics of 14-25, this is the space for you! We all started the same way, get a bunch of friends on board with your product or service. Have them be your guinea pigs. It’s no different with Instagram. You need a base and your current friends list is an incredible start. Once we have a foundation of friends, it’s now time to use our friends to our advantage. For this example we will reference Taylor Swift. Swift is probably one of the best marketers of our generation! Now, although our friends may not all be celebrities and millionaires, we can still use the same approach. Taylor Swift’s last hit song “Bad Blood” has been viewed half a billion times on YouTube. That’s A LOT of views! TSwift decided to use some of the strongest, sexiest, and most popular women on the planet to promote the song through her music video. Each week that went by, she would strategically promote the video with teasers of the women involved, then tagged each person in that video to eventually share the content. With the broad scope of each member in the video, she was able to not only grow her fan base, but this strategy allowed her the opportunity to claim the prestigious prize of having the most album sales in over the past 10 years! Now that we have exhausted our friends list, it’s time to interact with other individuals who are not our friends yet. With the recent updates to Instagram, the company has made it even easier for us to connect with other users we may not know. By searching for specific hashtags within your marketing campaign, you can find content that is similar to what you are trying to promote. Feel free to comment, like, and friend these individuals. People are friendlier on Instagram. Engagement after commenting is much higher and overall more successful. For this example, we would like to refer you to Starbucks’ Instagram page. Not only is it a great example of how to properly run an Instagram page in general, they primarily use content that is not curated by Starbucks themselves. Starbucks has the luxury of being popular and so everyone and their mother uses the hashtag #Starbucks. But there are other hashtags we can search, like #coffee. Once Starbucks finds content worth sharing, they make a comment on the picture, asking that individual if they can use the content for their page. Starbucks then promises to give credit to the person that created the content, giving that individual 15 minutes of fame. This is important because of what it does to your loyalty to the company. Immediately, you begin to trust the company because they genuinely care about your content enough to use it. You’re also more likely to tell other people about our recent internet fame, giving even more exposure to Starbucks. This is a huge win for any organization and the more strategic content sharing on Instagram, the more successful you will be in the world of influencer marketing on Instagram. Overall, Instagram’s influencer marketing strategy can be adapted to other models on social media, and business for that matter. 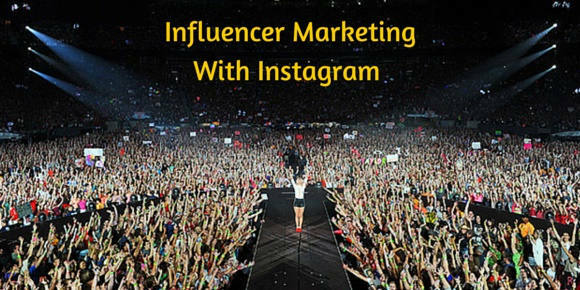 Once you find success in using influencer marketing on Instagram, try the same approaches to your blog. You will see a rapid increase of followers in a short period of time, without actually developing content yourself. It may not be TSwift status, but a success none the less! Tech Entrepreneur, author, fitness guru,and WWE Fan. Philadelphia native, Johnathan Grzybowski started his career at 14 mowing lawns. Over 5 businesses later, Johnathan has set his eyes on bettering the lives of millennials and helping them execute their ideas into profitable businesses. Thanks for sharing this. As a blogger who didn’t have so much followers, i think after i read this post, i will try to “fix” my instagram account. Jimmy Ahyari would love you to read ..Mencari Influencer Marketing? Silakan Coba SOSIAGO! Starting a business is not the only strategy we need to plan out but also how to promote it. Instagram is the place were we can do promotion.Thanks for sharing the ideas. Great Post . nice information about using instagram for business. this will help me to expand my business via instagram. For Any packers and movers related information visit us. It is best strategy to promote our business , Thanks for sharing it with us. Keep it up. I love reading your article . i want to share my experience to your viewer. Three months before me and brother start a project for marketing of our client through Instagram. We seen huge improvement. Instagram?? Definitely yes. If Facebook, Twitter, Gplus could be a platform for promoting your business, than yes Instagram too could. Undoubtedly instagram is being use by many people so its a good idea for marketing campaign on instagram where many people share their views and information. Thanks for increasing my insight. Properly use of hash Tag can beneficial in indexing post with relevant search terms, As the Instagram is become one of the most popular social sharing website not only personal but business point of view. So I appreciate you writing about marketing using Instagram in excellent way. Thanks for telling small things which can make our business more influential on instagram. No doubt instagram is that site where many people love to visit and show their interest that what is happening in the surrounding. so its good idea to make our marketing influential on instagram. Instagram is a powerful media, I think in future it will develop more towards conduction even more successful marketing campaigns there. Instagram is Very Active and Superb Social media Million of active user on Instagram.for marketing Instagram is best place and you guide very well about it. Thanks for sharing.keep up it. First of all thanks for sharing excellent content in shape of this lovely post, which contains lucid information regarding using Instagram for marketing campaigns. You have shared some spectacular tips which are very useful in this scenario. Well using Instagram for marketing campaigns is superb idea and I must say I’d have to try it soon enough. I am very glad to come here and read your post, its aspiring post to us and thanks for share with us. Amusing post in this. This post gives ideas how to start small business. This post have all guideline in new small businessman. I love reading your article . Since I’m new on blogging, will you recommend me to join my blog on Instagram or should I have to wait for sometime?? Please tell me asap, I’m confused!! I’m curious to find out what blog system you are utilizing? I’m having some minor security problems with my latest website and I would like to find something more safe. Do you have any suggestions?